Thanks to Vue.js support for Environment Agnostic SSR, we can now revamp the frontend of your web app while retaining the existing backend and server environment. The application will work more or less the same in any non-Node environment: php-v8js, Nashorn, etc. We develop Single Page Applications that are loaded at once and request data as the user engages. Blame it on robust features, a simple and secure authentication mechanism, an elegant syntax pattern, well-thought homestead, or an affordable price, Laravel is our go-to PHP framework for developing custom solutions for businesses and enterprises. Vue only makes the prospects look brighter. Thanks to a rich ecosystem of Laravel and Vue, our developers spend more time writing business logic and less time redundant pieces of code. We are flexible enough to adapt changes and shift in the consumer’s demands. Vue makes expanding applications with new features easier. 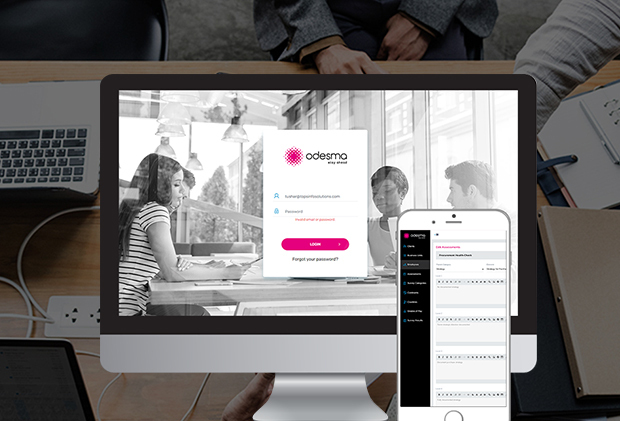 OdesmaOdesma service system allows companies to conduct surveys on people they employ. 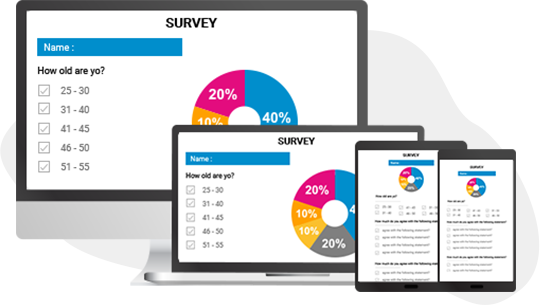 Surveyors can group survey questions in a variety of assessments and target specific assessments to a select group of people. The groups can be bifurcated to the employee’s department and pay scale. In case of MNC’s, bifurcations can encompass countries and continents. Odesma has three actors—the super admin, clients and employees. The clients can buy survey assessments from the super admin, which in this case is Odesma itself and can circulate among its employees. Hidlo gives an easy to use interface to create interactive Snapchat ad without the need to create your own Snapchat Ad Account. 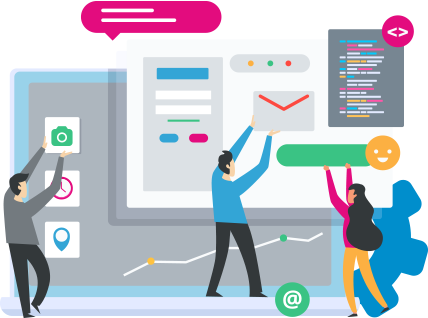 You can create an entire campaign from scratch, declare target user based on their age, gender, language, advanced demographics and behavior, draw custom stickers and creatives to go with those ads, and get reports on how your ad is performing. 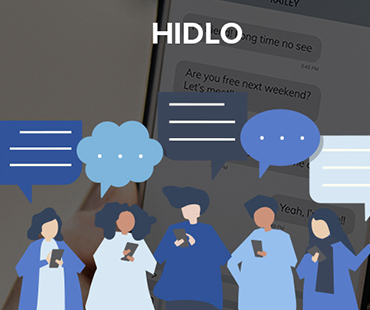 Hidlo model can be replicated in most of the social media websites provided they give developer access to their ad APIs. 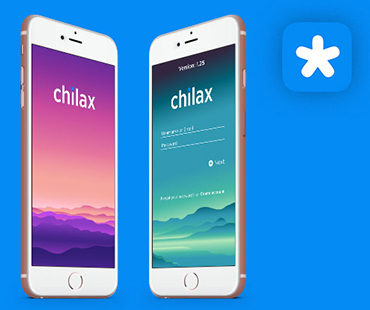 Chilax lets you ‘shout out’ in a very social media way. The shout out could be a moment in your life, an ingenious thought or a clever idea that you cannot wait to share with others. You can share picture, a piece of text, video and even your own recording. The inbuilt multimedia editor lets you convert sets of photos, videos, voice, and text into interactive posts that people you have shared with can like and comment on. You can chat with other users with lots of rich content sharing options. Human resource is the most valuable asset to any enterprise. Often employees don’t share the same level of allegiance with their employer, the employer thinks so highly of as assets. The gap directly affects the retention rate of an organization. A good way to find what your employees feel about the workplace and the company is to ask them. An employee survey is great place to start. immediately or one after another but in a fixed order. visible to a participant while filling survey. The client’s ingenious approach while exciting, it sent us on a challenging trip down technology lane for many months to come. The client insisted on Laravel from day 1 and we obliged. Since we were using Laravel, Bootstrap was our first choice for the purpose of building the unique idea the client insisted on and we hadn’t even scratched the surface. In typical web configuration, even when updating a small part of the DOM, you have to reload the entire DOM to reflect the changes. A survey participant won’t like his browser refreshing every time answers a survey question and is more likely to abandon the survey in the middle. We learned the lesson the harder way. Bootstrap wasn’t up for the client’s challenge and we have to look elsewhere. We created a display tree structure to display categories, and a number of sub categories for each category. Laravel does not support N level structure dropdown out of the box and functionality must be added with extra tweaks. We customized N-level tree structure in dropdown list and created an entire module to manage N-level categories. To display n-level category tree structure and allow multiple selection for only last node, we customized collective dropdown and added Bootstrap dropdown. A busy employer might assign an employee client level access to the survey. In such instances, we need to assign dual roles to the employee. He or she should be able to take care of all queries that run from the client side. In addition, the ability to switch role from a client to employee should be seamless and vice a versa because the same person is filling surveys and managing them. To be honest, we wrote tens of if…else trees in PHP for realizing the current role of the user logged in. If the user changes his role, we will update the status by running those logics once again. We will then assign returned value from these logics to a variable and pass the variable to the view layer of the MVC framework for the user to interact with. Graphical representation of a survey goes without even saying. This is how experts deduce the results of large number of survey at the same place. While Laravel has many plugins to create graphs, no of them were capable of updating the graph in realtime. The client wanted a radar graph to render in realtime as soon as values in its co-ordinates change. vue-chartjs is a Vue.js wrapper for chart.js for creating beautiful charts. This application carries its own surveys on each participating company. A radar chart has three axis: x, y, and z. We allotted ‘x’ to the application survey results, y to competitors and z to the company’s internal survey. To raise accessibility we assigned each comparison a unique color code in the radar graph. retention rate and inspired many more to follow suit. How Laravel solves the biggest problem of Vue? Why did Vue choose Laravel when there are so many other PHP frameworks? This was more of a way-one relationship until Vue 2.5. The release of Vue.js 2.5.0 brought server-side rendering support to non-Node.js environments including PHP, Python, Ruby etc. How Vue manages to render on a Laravel backend? Why it took so long for Vue to bring Laravel support? Node.js API conflicts is the major reason it took so long for Vue developers to bring SSR support to non-Node environments. Till version 2.4, Vue SSR required certain Node.js APIs to run correctly. Node 2.5 made the server renderer "environment agnostic.” Today, Vue developers can choose Node.js, V8Js, Nashorn etc. for SSR. What are the other benefits of using Laravel with Vue in an app? Laravel Passport includes Vue components that can serve as a starting point for your OAuth2 dashboard, allowing users to create clients, revoke access tokens, and more. Why would I choose Vue components when Laravel has a quite capable Blade Template engine? A major problem with Document Object Model (DOM) is this that even when updating a small part of the DOM, you have to reload the entire DOM to reflect the changes. Vue solves this problem by employing a virtual DOM, which is essentially a copy of actual DOM which stays in memory rather than the view layer. Virtual DOM allows DOM to update a small part of a web page without reloading the entire page. Laravel allows embedding reactive and composable Vue components to the blade engine.